I just don’t have any interest in/knowledge of that sort of thing. For some married women, a third translation is sometimes in order: “My husband handles our investments” (delivered with a tremendous sigh of relief). Of the 62 million wage and salaried women (age 21-64) working in the United States, only 45% participate in a retirement plan. Women are more likely to work in part-time jobs that don’t qualify for a retirement plan. In 2009, 24 percent of employed women (aged 20 and older) worked part time, compared to 11 percent of men. Almost 30% of non-married women aged 65 or older are poor or near poor. This is compared to only 21% of non-married men in the same age group. Women, on average, earn 76% of what men earn, resulting in an average lifetime earnings differential of $250,000. The U.S. entitlement retirement program, Social Security, is based on earnings made in one’s lifetime. Women not only earn less than men, on average, but they also leave the workforce for an average of 12 years to care for children or relatives. This reduces their Social Security benefits upon retirement. A couple must have been married for ten years before an ex can claim spousal Social Security benefits, but most divorces happen within the first seven years. This could be a contributing factor as to why more older women live in poverty. On average, women invest more conservatively than men. Over the long run, this can result in lower returns and more of a risk of your assets not keeping pace with inflation. U.S. Department of Commerce Economics and Statistics Administration and Executive Office of the President Office of Management and Budget. March 2011. “Women in America: Indicators of Social and Economic Well-Being.” Retrieved from www.whitehouse.gov/sites/default/files/rss_viewer/Women_in_America.pdf. U.S. Department of Labor, Employee Benefits Security Administration. 2008. 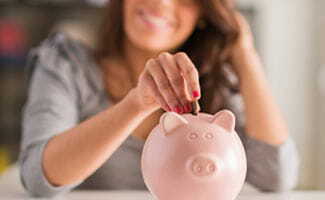 “Women and Retirement Savings.” Retrieved from www.dol.gov/ebsa/publications/women.html. Munnell, Alicia H. and Zhivan, Natalia. 2006. “Earnings and Women’s Retirement Security.” Working Paper No 2006-12. Chestnut Hill, MA: Center for Retirement Research at Boston College.